Almost 12 years on from riding his first winner on the Paul D’Arcy-trained Bank on Benny at Salisbury on September 27th 2006, William Buick fulfilled all the aspirations of his friends and family, not least his father Walter, when driving home Masar to win the Investec Derby at Epsom on Saturday, writes Tony Stafford. He has rightfully earned his place in the Annuls of the Turf. Scots-born Walter had to relocate to Scandinavia and, for a while, Germany where he trained to make a decent living, but he was always determined that young William would make it over here. Regular school holidays to the UK put him in contact with potential future employers, but also introduced him to a few Press Rooms, notably Newbury, where he met a number of racing journalists. Walter’s numerous connections – not to mention his son’s obvious innate riding talent - helped secure an apprenticeship with Andrew Balding, where he’d been a regular holiday visitor for years. However, when the young Buick, not exactly totally at home speaking English in those days, started out he found the rides hard to come by. Buick senior is traditional jockey-short in stature and while William was to grow to considerably taller, in his mid-teens he weighed barely 5st. Bank on Benny opened the flood gates, or so Walter thought, but getting on for a month later, that was still the state of play, while the reaction to him at the Jockey School was not always too positive either. The person who pushed William’s career forward more quickly than would have been the case was a former trainer who sort-of shared Sunday’s Racing Post’s front page with Buick’s Derby win. By mid-October 2006 Walter Buick was getting desperate – in the true sense of the word – and I managed to put him in touch with a small trainer, based at Exning near Newmarket. That person had already had his first Group 3 winner – his Blitzkrieg beating the previously-unbeaten Dylan Thomas, the future Arc winner - in a two-year-old race at Salisbury a couple of years earlier. Prior to training, Vince Smith was a journeyman jockey specialising in winning the Jersey riding championship both on the Flat and over Jumps. You might have thought that this would be the impetus for Vince’s career, but owner Richie Baynes, a major nurseryman in East Anglia, decided to sell Blitzkrieg to Hong Kong and then soon after remove the rest of his string. Anyway, in the remainder of the 2006 season, wins on the Dave Clayton-owned Vacation on November 3rd and December 2nd, interspersed with a Balding-trained success on Lordswood on November 13th, did have the effect of bringing the young jockey, whose struggle to carry the saddle back to weigh in tested his fortitude, to more general attention. Then it clicked. In the last fortnight of the year Buick rode six more winners, including a double on December 16th, which were the prelude to him amassing 67 victories the following year. Of his 94 total rides in the year, Vince Smith provided 19, not just encouragement, but useful match practice. By contrast William had only 11 rides for his boss. Without Vacation, the start would have been even more hesitant, although the outcome for this highly-personable young man was always written clearly in the stars. It also helped that he was given an invitation to spend the winter riding in the US early in the piece. So where was Vince Smith on the Racing Post front page? Like all his friends – and he trained the last winner in my old red colours, coincidentally Richie Boy in the 11.25 a.m. race at Warwick on a Saturday morning in 2004 – I was shocked when I heard he was going to live the rest of his life as a woman. Now as Victoria, in yesterday’s article he gives Steve Dennis chapter and verse about the whys and wherefores and also the physical steps he will be taking to make the total transformation. I had no idea it would happen and I’m happy that I had an hour or so in the owners’ tea room at Newmarket back in the spring to listen to his detailing the constant anguish he suffered for all his adult life while we all thought him first and foremost a ladies’ man. Having had my 18 stitches out (ouch) last week after my minor surgery, I’ve been imagining what Victoria will have to endure over the coming months and years. I wish her well. Buick fits comfortably into the Godolphin operation as does their other main rider, James Doyle. Like Buick, Doyle and his sister Sophie, who has done extremely well as a jockey since relocating to the US, are from a racing family, mother Jacqui having trained before latterly devoting herself to her son’s career. Their father Bill Perrin trained jumpers in the East Anglia region. James and Sophie were often to be seen around Huntingdon racecourse when the Perrins had a runner and when that marriage failed, Jacqui started a stable in Lambourn backed for a while by my old Eton Manor opening partner, Tom Ford, who remains a racehorse owner and a person ever ready for the chance to offer criticism of my fielding prowess of 50-odd years ago to anyone who will listen. After the Guineas this year I bumped into Jacqui Doyle and she was with Charlie Appleby’s mother, who I learned used to train point-to-pointers in Devon and that was where and when her son had his first win as a rider. Mrs Appleby admitted to her pride in her son’s career, but knew he craved a Classic winner above all else. That’s happened and now, like young Buick, they will find themselves in a different category. Charlie Appleby has been with Godolphin for 20 years, for a while with David Loder when he trained, and it must be interesting that so long after those days, the sales purchases that come his and Saeed bin Suroor’s way are jointly sourced by Loder, with Anthony Stroud now reinstalled at the centre since the departures of John Ferguson and earlier Simon Crisford, and with John Gosden as the supreme arbiter. Saeed’s irritation at what was perceived as an imbalance of talent in the two-year-old intake of last season will not have been assuaged by the sight of the highly-approachable and modest Appleby at the top of the trainers’ table with more than £1.6million in prizemoney from 44 wins and 131 runs, and 33 individual winners from 70 horses. Saeed’s £116k from 15 wins and 66 runs, and 11 winners from 40 individuals must make frustrating reading, bearing in mind the glory days, although he does seem happier with the present crop of juveniles. But nobody in Godolphin will be anything other than euphoric this morning. Back in 1982, soon after we met in Kentucky for the first time, I sat in a car outside Richard Casey’s livery yard in Dullingham near Newmarket with Sheikh Mohammed and (now Sir) Michael Stoute when the Sheikh was waiting to inspect the young horses about to go into Freemason Lodge. At one point the Sheikh looked over and said, and this is a sentence I’ve never forgotten: “It doesn’t take just three years to build a stud operation, it can take 30!” Until Saturday and the home-bred Masar, I often found myself saying to myself: “And you’re not there yet!” Now, in New Approach, admittedly a son of Galileo, but one that they recruited along with Jim Bolger as a way to circumvent their own self-imposed ban on Coolmore pedigrees, they’ve bred a Derby winner from their own Derby winner. True it has taken 36 years, but nobody’s counting any more. I’m sure that when the disappointment of whatever caused Saxon Warrior’s eclipse – and I did find his pre-race unease in the paddock with some pretty scary raising and pushing forward of first one then the other hind leg towards the front of his body slightly alarming – the common sense among the defeated tribe might reflect that this will help keep the other major player interested. Going forward it will be interesting to see whether Saxon Warrior will be campaigned again at a mile and a half. Certainly middle-distance Aidan O’Brien Classic-standard colts – though not fillies – are thinner on the ground than for some years. It would be no surprise if Mark Johnston steps in at The Curragh with the ultra-tough Dee Ex Bee. On the subject of Mark Johnston, his filly Main Edition, almost four lengths too good for the boss’ and his partners’ strong-finishing filly Laxmi on debut at Windsor – as told last week – stepped up with a fast win against colts at Goodwood on Friday night. She won by a similar margin to Windsor’s and the obvious merit of the win can be gauged by the six-length debut romp half an hour later of the Roger Varian-trained filly Impulsion. It took her almost two seconds more – around ten lengths – to complete the six furlongs. Maybe a few will be frightened of Laxmi when she goes to Haydock on Thursday! Your eyes told you it was good, writes Tony Stafford. Reflection overnight on the times over the weekend more than confirmed that Winter had stepped up a notch on her 1,000 Guineas victory at Newmarket. It also suggested that Rhododendron, the runner-up that day, will be very hard to beat on Friday in the Investec Oaks. There were two supporting Premier handicaps on the 1,000 Guineas under-card. The first, half an hour after Winter stopped the clock in 1 min 39.78 secs, was also a fillies’ race for three-year-olds. Constant Comment, rated 80 but a daughter of Fastnet Rock out of a Galileo mare, twin Coolmore influences, completed the mile a full 4.30 seconds slower than the Classic finale. Then to finish proceedings for an epic meeting, run at a Curragh track denuded of stands and by all accounts facilities, Sea Wolf, a tough 101-rated handicapper, defied 10st1lb in beating 19 rivals. Although the difference in weights carried on the day might seem to have given an obvious advantage to Winter over Sea Wolf, an older colt or gelding would concede the identical 15lb to a three-year-old filly if they were to meet in the eight and a half furlong Diomed Stakes (Group 3) at Epsom on Saturday. Sea Wolf’s time in a hotly-contested affair was 1 min 42.45 secs, almost three seconds more than Winter’s, reflecting a margin of around 50 yards, if you take an average 13 seconds per furlong. Racing Post Ratings as ever were quick to offer assessments, suggesting this was a 2lb improvement on the defeat of Rhododendron. Time may well show this to be an over-cautious mark. Caution clearly is inhibiting the other big stables from tackling the O’Brien Classic generation, to such an extent that Roly Poly and Hydrangea were able to participate in yet another 1-2-3 for Ballydoyle, just ahead of Joseph O’Brien’s Intricately, but almost five lengths behind the imperious winner. The previous afternoon, Churchill preceded his stablemate by also completing the 2,000 Guineas Newmarket – Curragh double with a fuss-free two-and-a-half length win in the Tattersalls-sponsored event. Thunder Snow, at one time travelling apparently better than Churchill until that embryonic champion’s decisive surge, rehabilitated himself after his mulish and inexplicable effort at Churchill Downs with a sound second place. There was much made of the fact that these two Classic triumphs for O’Brien came 20 years after a similar double set him up for a total to date of 72 European Classic wins. Eleven of these have come in the Irish 2,000 Guineas. Not even Mr Wenger (seven FA Cups in the identical period) can match that. There is sure to be a blanket attack on Royal Ascot from the Coolmore partners, with the Classic hero and heroine stand-outs for the St James’s Palace Stakes and Coronation Stakes respectively, while on Friday night Order Of St George warmed up for a second Gold Cup challenge with an emphatic success in the Saval Beg Stakes. In this game, reflecting on triumphs achieved soon has to give way to concentration on future objectives. The proximity of The Curragh’s fixture to the Oaks and Derby, earlier this year due to the timing of Easter, and also relative to Chester and York’s trials has meant that any quick bounce on to Epsom from The Curragh was probably even outside O’Brien’s comfort zone. Luckily Ascot beckons soon after, though not as soon as is usually the case. Rhododendron’s defeat at Newmarket was attributed by many as partially the fault of Ryan Moore. True he did find a little interference, but as I thought at the time, Winter showed no more sign of stopping up the final incline at HQ than than she did on Sunday. Rhododendron was flying at the finish to secure second and she looks set to make it three UK and two Irish 2017 Classic wins for Galileo, ever more the super-sire. Without Churchill, the O’Brien Derby challenge looks more questionable, but of seven possible runners, only one, the promising Chester Vase second Wings of Eagles (by Pour Moi) is not by Galileo. Cliffs of Moher, the Dee Stakes winner, rather than Vase hero Venice Beach, seems to carry the principal hopes of connections on a day that looks sure to be characterised by observers as the chance for Frankel to put one over on dad. He could easily do so with the Anthony Oppenheimer/John Gosden colt Cracksman proven on the track, having beaten Permian (Teofilo, by Galileo) there in the Derby Trial before Permian franked the form in the Dante Stakes at York. Then there is 2,000 Guineas sixth, Eminent, expected by Martyn Meade to prove better suited to the longer trip, and the unexposed Mirage Dancer, who is highly regarded by Ryan Moore. He represents Sir Michael Stoute, who has a tradition of producing major forward strides with this type of horse in the Derby, but his patient trainer believes this may be too much too soon. At present odds, there is decent value available about Mark Johnston’s Permian, who won the prime trial for the race, and the fact that the trainer has not had a Derby runner for a long time and needs to supplement him are positives. This time he has a proper candidate, but like O’Brien, I have a soft spot for the Chester trials: I was racing manager when Oath won the Dee Stakes for Henry Cecil and the Thoroughbred Corporation before winning at Epsom under a peach of a ride by Kieren Fallon. Friday’s second feature, the Coronation Cup, has been selected as the 2017 European comeback for the five-year-old Highland Reel, whose trip to Dubai in March was doomed when the ground turned against him. Previously, in winning the Breeders’ Cup Turf, he supplanted the lifetime earnings of Found, his contemporary and stablemate, thereby avenging his defeat by her when they were one-two in the Arc at Chantilly last October. Both are over the £5 million mark and therefore their sire’s top two earners. With Found now retired, Highland Reel can be expected to confirm his status as the “new St Nicholas Abbey” by making a winning Epsom debut on Friday. Should Highland Reel be found wanting, then Idaho looks a worthy alternative in the field, should be run. If you call a horse Profitable and he wins a Group 1 race, then you have to take yourself at your word and take the profit, as Alan Spence did last year from Godolphin after Clive Cox’s sprinter won the King’s Stand Stakes. Then to call a filly Priceless and watch her win the Group 2 Temple Stakes, following Profitable’s example of 2016, the only option is not to sell. She is indeed Priceless to Mr Spence and while the original idea was to go to Profitable when she retires, maybe watching the example of Wokingham winner Laddies Poker, now dam of Winter, and other sprinters, he might consider a date with Galileo. Whatever course he takes, the arch-negotiator holds all the aces. I did notice that it is not just Derek Thompson who refers to Spence as a Director (sometimes Chairman, even) of Chelsea FC when his horses go to post where Tommo is acting as commentator. That description did apply in the Ken Bates days, but he’s now just a humble Vice-President, contrary to the Racing Post’s report on Priceless’s smart win. Had he been at Haydock rather than wasting his time at Wembley, Alan could have prevented the normally punctilious David Carr from making a rare error. After three days at Chester’s May meeting, when the improving weather encouraged all-comers to show off their finery, thoughts are already turning to the Derby and Royal Ascot, writes Tony Stafford. There seems no limit to the appetite of the female of the species for horse racing and Nottingham on Saturday continued the trend. It’s always been said that Nottingham has a much higher proportion of females to males in its population than anywhere else in England, so if the racetrack chose to declare any meeting “Ladies’ Day”, as Colwick Park did on Saturday, then a large attendance would almost be guaranteed. Well they did and it was, 5,000 and more turning out for a strong card featuring the Listed Kilvington Stakes for fillies. In the Directors’ Room, chairman Richard Pilkington entertained the connections of the German-based filly Artistica, and they were later delighted to collect the bulk of the £40,000 prize with their 33-1 chance. For one reason and another I didn’t actually stay for the race – needing to get home fairly sharply I claimed – but more possibly as a result of a disappointing run by the boss’s Stanhope, the first sub-standard effort of his career, in the opening maiden. Paddock duties meant I didn’t get the chance to talk to the filly’s owners, Gregor and Julia Baum, who run under the Gestut <stud in German> Brummerhof banner, before the race and they were busy with the excellent lunch when I returned. Unfortunately for the Racing Post reporter, he assumed the stud’s name was also the owner’s, but he did correctly point out that Herr Baum owns Hannover racecourse. Not that I was entirely remiss in approaching the visitors. They had a familiar face among the entourage, namely Billy Newnes, who spent a long time riding in Germany and since retirement has advised the Baums and their trainer Dominik Moser, who was having his first winner in the UK, and we had a lengthy chat. Newnes told me that the Baums had three or four other fillies of a similar standard in their stable and they were keen to get a handle on their level in relation to British and French fillies before planning their season. He was also delighted that Henry and Virginia Candy were expected and Billy looked forward to remembering the days when he was Time Charter’s regular pilot. Richard Pilkington, son of Sir Thomas, took over from Peter Jensen, now the boss at Sandown, for this year and he is one of the rising stars in the Jockey Club Racecourses hierarchy. He was fulsome in his praise of his senior management team at the track, and the show they put on certainly impressed Gregor Baum who, according to Newnes, gets big attendances at Hannover. Yesterday was a big day for Champion Jockeys, with Ruby Walsh (38), Johnny Murtagh (47) – who impressed with his insights on ITV at Chester, and Bob Davies (71), triple jumps champion in the 1970’s, all celebrating birthdays. Davies is father to Karen Quinn, wife of Mick, trainer of Stanhope, whose run mystified us all. Clive Cox never got anywhere near the title during his time with Fred Winter, though he did emerge with a friendship with his long-term landlord, John Francome. He was also born on May 14, which was his 53rd birthday. Clive had a promising first-time runner in our race, but was in France for Profitable’s seasonal comeback second place in a competitive Prix de Saint-Georges, won emphatically by Signs of Blessing. He’ll be on top form for next month’s attempt for a second King’s Stand at Ascot. We have our first horse with Clive this year, Raymond Tooth’s juvenile Nelson River, a big, well-developed son of Mount Nelson, who is waiting for ground and seven furlongs. Chester proved almost a straight match between the two major protagonists for the British Flat-race trainers’ championship. 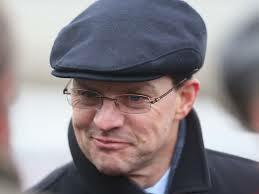 Aidan O’Brien and John Gosden have quickly moved ahead of the field in prizemoney terms, and without Gosden’s double intervention, the fixture would have been an O’Brien benefit. The visitors collected the Chester Vase (Venice Beach), Dee Stakes (Cliffs of Moher) and Huxley Stakes ( Deauville), but had to give best to Gosden in the Cheshire Oaks, where Nathaniel’s daughter, Enable, beat favourite Alluringly; and the Ormonde, won with a last-stride thrust by Western Hymn and Frankie Dettori, who just outstayed US Army Ranger and Ryan Moore. Sources close to Ballydoyle were suggesting Alluringly might be their best chance of the week and afterwards they reaffirmed that continued faith in her would be rewarded. As to Derby prospects, the late-developing Cliffs of Moher might well be a strong candidate, but whether he will supplant Churchill as number one is questionable. Coolmore may have little impact on the three days of York this week, with some of the Aidan O’Brien apparent lesser lights in the Dante where Joseph O’Brien, among the winners under his jumping guise yesterday, may have better prospects with the Lloyd Williams-owned Rekindling. Like 1,000 Guineas winner Winter, Rekindling was with now-retired David Wachman as a juvenile, but moved to the younger O’Brien and duly beat a trio of his father’s in the Ballysax Stakes at Leopardstown last month. He could prove a big threat to Gosden’s Frankel colt, Cracksman, whose Epsom Trial win has been well advertised. It will also be interesting to gauge the progress of David Elsworth’s Swiss Storm, another Frankel colt, who could not be readied in time for the 2,000 Guineas, but of whom his experienced trainer has a high opinion. Elsworth had a long association with Chris Harper, renting his yard at Whitsbury for many years before relocating to Newmarket. He has also had a strong connection with products of the flying filly Swiss Lake, who was the fastest to grace the colours of the late Prince Ahmed bin Salman’s Thoroughbred Corporation. Swiss Storm is one of nine winners from the mare, owned by Lordship Stud’s Trevor Harris and whom he owns in partnership with Godolphin. In that regard it is unsurprising that Elsworth has a son of Swiss Spirit, whom he trained with some success and is also out of Swiss Lake, listed in his string for 2017. Swiss Spirit stands at Whitsbury Manor, where fellow resident Foxwedge had a decent first season last year both in the UK and his native Australia. Over there he was a sprinting rival and contemporary of the Darley stallions Helmet and Sepoy, but John Gosden clearly believes there is stamina to find in his DNA. On the day at Newbury where Shutter Speed won her Listed race decisively, Gosden collected the fillies’ 10-furlong maiden with Gracious Diana, who holds the Oaks engagement. Then on Saturday, another daughter, Hertford Dancer, outstayed O’Brien’s Pocketfullofdreams in the Lingfield Oaks Trial over just short of a mile and a half. No doubt we’ll see her in the Ribblesdale at Royal Ascot. When dawn broke over London and more particularly Epsom yesterday, I already had the theme of my – what do I or you call it? – blog, article, entertaining (one hopes) romp, as the Editor once unwisely suggested, through the years or simply an hour’s self-indulgence. Who else deserved centre stage but a jockey who’d not had a single ride for his nominal boss in his native land this year – and won’t have at The Curragh today – but came through to win the Investec Oaks on Qualify at 50-1 for said trainer? I’ll get to him later, much later, for as dawn passed to afternoon in Surrey, then across the Atlantic to late afternoon in New York, seismic shocks were delivered to both racing establishments. Two questions had been exercising the brains of world racing. Would Golden Horn stay a mile and a half, once Anthony Oppenheimer had accepted that he should pay the £75,000 supplement to get his unbeaten colt into the Derby, and would American Pharoah stay the very different mile and a half of the Belmont Stakes to become the 12th winner of the American Triple Crown? Both questions were answered in the affirmative, much to the delight of Epsom observers, able to watch 44-year-old Frankie Dettori make possibly the most poignant of his trademark dismounts – we left straight after so I’m guessing he did one? – but much more emphatically to the packed stands at Belmont Park after American Pharoah’s trap-to-line right-of-passage around the vast oval that has killed so many owners’ dreams since Affirmed’s win under Steve Cauthen 37 years ago. Watching on TV last night it was hard to stay immune from the emotion from New York. 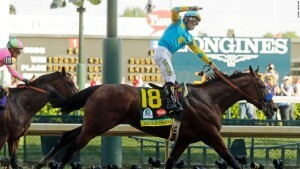 As he went over the line, Victor Espinosa (at 43, just a jot younger than Frankie) held his whip aloft in celebration – the same whip that crunched down repeatedly on American Pharoah’s flank as he coerced him to success in the first leg of the TC, the Kentucky Derby. Without what has been construed over here as unacceptably harsh riding, he would probably have been beaten in Louisville and the Triple Crown would not have happened. Suffice to say that the Americans are far less squeamish when it comes to use of the whip. Espinosa, who was on Bob Baffert’s last failed Triple Crown hopeful War Emblem – whose Derby win was my only trip to a Triple Crown race – needed far less vigour this time, all the necessary power was in the Pharoah’s hooves and through his handsome body. When I said “emotion”, it hardly pays justice to what actually happened. As they crossed the line, the crescendo of sound just swelled into near-delirium as 100,000 proud New Yorkers welcomed the California-trained champ, who won by five and a half lengths from second favourite Frosted. It was a long wait on one of those spaced-out US cards that leaves hours almost between races, but immensely worth it. It wouldn’t really have mattered if four chimpanzees rather than the two line-ups – that’s right Attheraces had a crack, but sorry Matt (Chapman) I stayed with the other side. They had the tried and tested Angus McNee and James Willoughby duo supplemented by the dour man Mark, who seems to have the same Hull accent that inhabits the channel through other Timeform graduates, and refreshing Rachel. She’s the American lady who first saw the light of day on our tellies in conjunction with her pal Mark Johnson, who must have met her during his commentating stints at Churchill Downs. Rachel – her surname begins with C and is Italian – was unstinting in her support of American Pharoah’s prospects, even going so far as to reassure one emailer to the show who’d backed the treble of Golden Horn, Barcelona in the Champions League Final and the Pharoah, with “you’ll be fine”. He was, and she was too. Even James was less quirky than usual, apart from frequent glances away from the action and thus the wide-angle camera. It was great entertainment, and real history, even if the host US broadcaster’s frequent jump from Kenny, to Laffit, to Uncle Tom Cobley for a series of 30-second inserts still gets on one’s nerves. By the way, did you notice that Neymar, who scored the final goal at around 9.55 p.m. BST last night, also won a race for Michael Bell at Newcastle during half-time in the football. Bell, a big Manchester City fan, got 3-1 for his money. Earlier at Newcastle, Sir Alex Ferguson, Champions League-winning manager for the other Manchester club, also had a winner with the promising newcomer Red Artist for Simon Crisford. He had to accept 9-4. 1-0 to Bell! I don’t know about you, but I reckon Golden Horn was one of the most emphatic Derby winners in recent history. 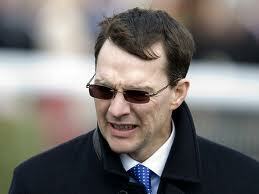 The Dante winner challenged stable-companion Jack Hobbs at the furlong pole, and quickly moved clear. Anthony Oppenheimer has been trying to win the race through his breeding programme for many years and it’s wonderful for him that his trainer, John Gosden, encouraged him to stump up the 75 grand. As I said last week, 10-1 about what turned out to be a 13-8 shot was fair value. Golden Horn won’t have to be exposed to a mile and a half any more, unless his superiority over his stablemate continues to expand. The Eclipse is there on the near horizon for him and The Curragh beckons Jack Hobbs. It’s great when the Derby goes to an unbeaten colt and as with Sir Ivor and several other potential non-stayers, their wins are generally more glorious. For now it’s going to be ever onward and upward for Frankie and obviously Ryan Moore who for once missed out on a Classic winner thanks to the late powerful run of Qualify and Colm O’Donoghue on Friday. Aidan O’Brian commented: “We don’t use Colm very much, only on the big days”. 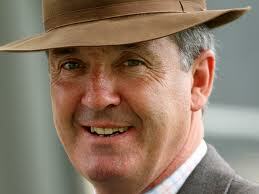 Last weekend Colm was also in England riding five horses at Chester. Three were for Brian Ellison and he was very powerful in the finish on last-gasp winner, Eastern Racer. With the Oaks victory, he now has twice as many wins in England this year as in Ireland where his only success from 16 mounts was on the Tara Lee Cogan-trained Bobby Jean at Limerick. That track was the scene last night for another Aidan O’Brien-trained winner, Rosshaven Lady, in the concluding mares’ bumper. Owned and bred by Maurice G O’Brien, (any relation?) she won comfortably in the hands of another up-and-coming Ballydoyle rider, Sara O’Brien, who with mum Anne-Marie and sister Ana was in the Epsom paddock earlier in the day. Talk about hard work. No 9-5 for them, more like 5 a.m. to midnight! It seems strange, dear reader, as it does every year, to be barely a month into the flat racing season and already have seen the back of 40% of the Classics. Annually, I whinge about the blatant anachronism of having this thoroughbred championship when most of the contenders are still wondering what these strange new hair growths are (i.e. in puberty). And no, I'm not talking about the jockeys! However, such is the nature of our racing calendar, that ere was it so, and forever will it be so. The stuffed shirts are actually very slowly asphyxiating the sport in my opinion, with their reluctance to embrace the 21st century. But that rant is for another day. 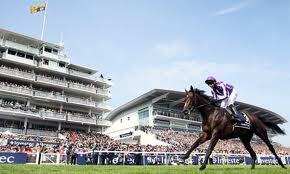 It's time to turn our attentions to the Derby and Oaks, which will be run at Epsom in 31 days - the Oaks is a month today. As well as the 1000 Guineas, which incidentally is an awful trial for the Oaks (the winner of the longer race hasn't even run in the 1000 Guineas since 2003, and even then, Casual Look was back in sixth place), there will be trials at Chester, Lingfield and York in the next ten days or so. It's my bet that we've yet to see the winner of the Oaks this season, but we will have by the time York has been and gone. Just don't ask me who it is. If you do want help with that, though, Gavin's excellent Festival Trends will probably point you in the right direction. After finding 7/1 and 8/1 winners on Saturday with his only two selections, Sunday looked like taking the edge off the joy when the first two of his three picks there were well beaten, albeit at 16/1 and 14/1 respectively. But no, he still managed to get us all a day ticket on the gravy train when Take The Hint did just that, having looked well held mid-race, before bounding up the Newmarket hill at a very tasty 15/2. Fair play to the man - he's on fire at the moment, and normal laws of averages suggest a trickier run is to follow. 2. If there's better value ANYWHERE in the horse racing world, please let me know, and I'll put everyone onto it! Gavin should really be charging the monthly price per meeting. That's been suggested to him by a number of his happy followers (no doubt wanting to keep the info to themselves! ), but he doesn't want to do that, preferring instead to make it accessible to as many people as possible. Fair enough I say. 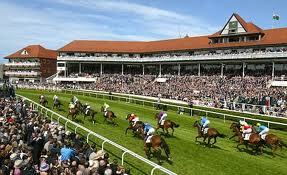 Racing today is at Catterick, Chepstow, Exeter, Fakenham and Southwell (AW). At Chepstow, I've a couple of fancies put up on the Flat Racing Profiles members' area (nice winners yesterday at 7/1 and 3/1 - well backed - for us yesterday). Catterick is a tough one though. It's one of those ground dependant tracks, where on soft ground they go one side, and on fast ground they go the other. I suspect they may tack across today. If you're able to, and you want to have a bet today, I'd suggest watching to see what happens in the opening contest - perhaps the second race too - before investing. The Summer jumps rarely catch my attention, but I do like one at Fakenham this afternoon a little. There is an odds on favourite in the race who may well win, but at the prices, Crashtown Hall looks the better value to my eye. Available at 3/1 on betfair as I write, he's from the up and coming Tim Vaughan stable, and has a certain AP McCoy in the plate. The horse has won two from seven hurdle starts, and is dropped back into novice company after finding a handicap too tough, and not really getting the hang of chasing last time out. The fact that the champ is booked strongly suggests a big run is expected and, in a pretty weak race, 3/1 is a value price. Good luck with your Tuesday wagers on a day of fairly uninspiring fare. Bigger fish to fry this week, starting at Chester tomorrow.